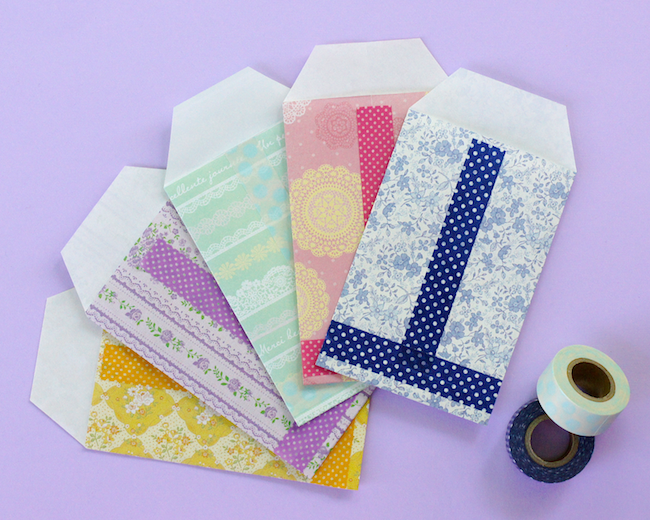 Cute paper envelopes combine origami paper and washi tape in one sweet package - no fancy folds or tricky techniques required! 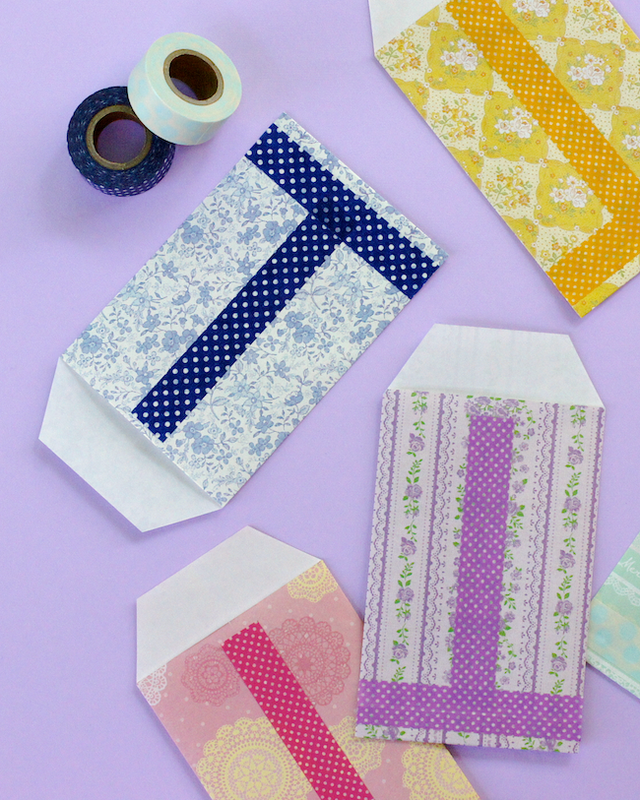 A few folds, a bit of tape and some simple cutting and you can transform your favourite patterned papers into handy little envelopes. 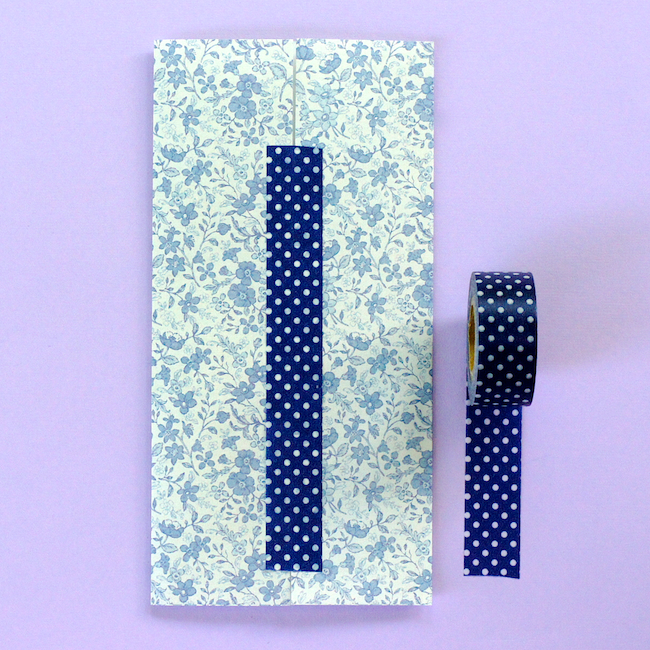 Choose a subtle combo of tape and paper or something a bit bolder. 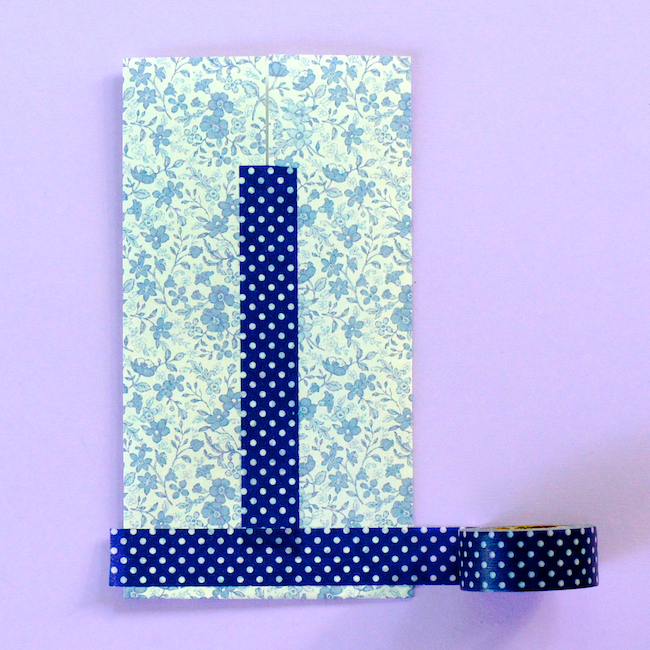 I think these pretty floral papers and simple polka dots are a perfect pairing! 1. Mark the bottom centre point - just a small fold or a little pencil mark will do! Fold the right side in to meet the centre. Crease firmly. 2. Fold the left side in to meet the centre. Crease firmly. 3. Apply a strip of tape along the centre seam. Leave about 3/8" (1cm) at the bottom and 1" (2.5cm) at the top uncovered. 4. 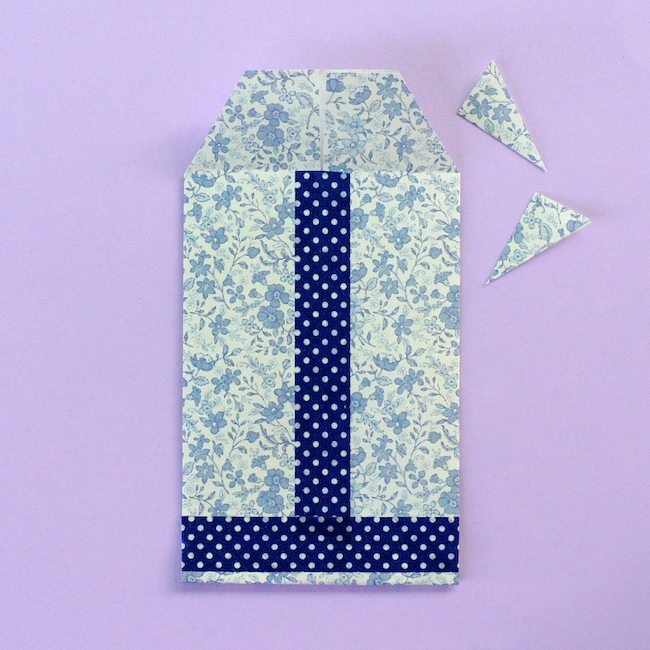 Fold the bottom 3/8" (1cm) up. Crease firmly. 5. 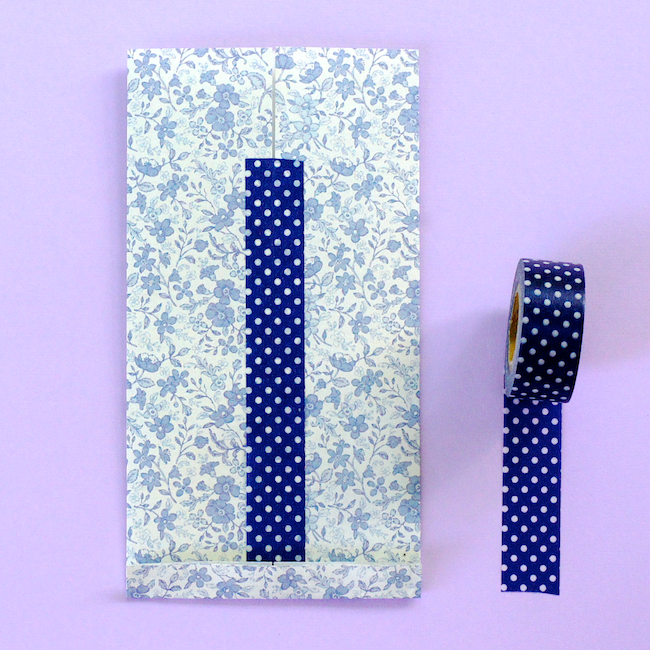 Apply a strip of tape to secure the open end of the bottom fold. 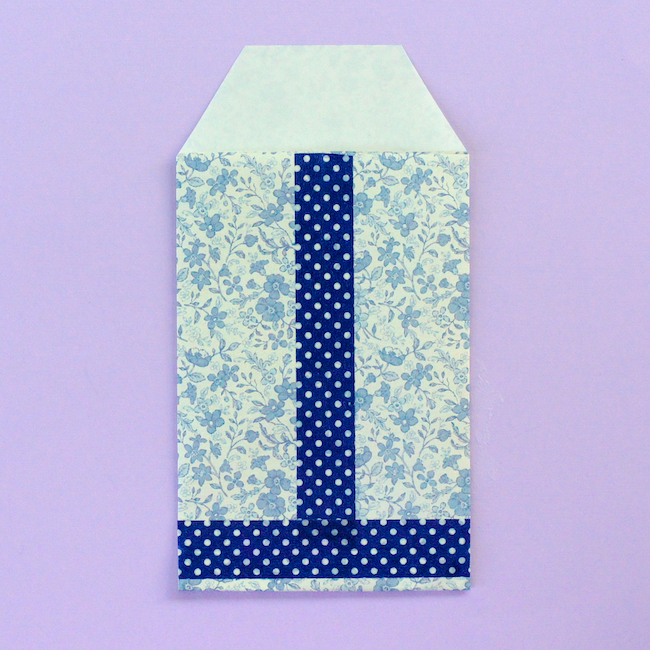 Trim off excess tape at the sides of the envelope. 6. Fold top 1" (2.5cm) down. Unfold. 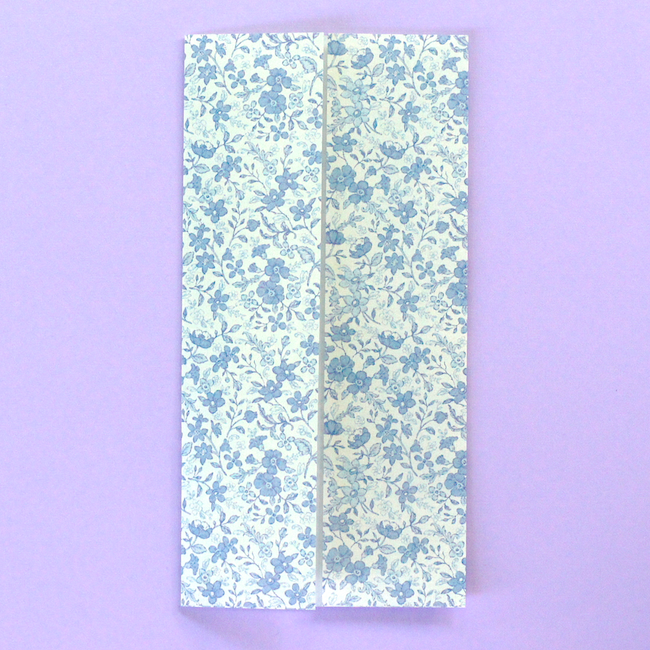 Make an angled cut from the left side of the fold to about 5/8" (1.5cm) in on the top edge. Repeat on the right side. 7. 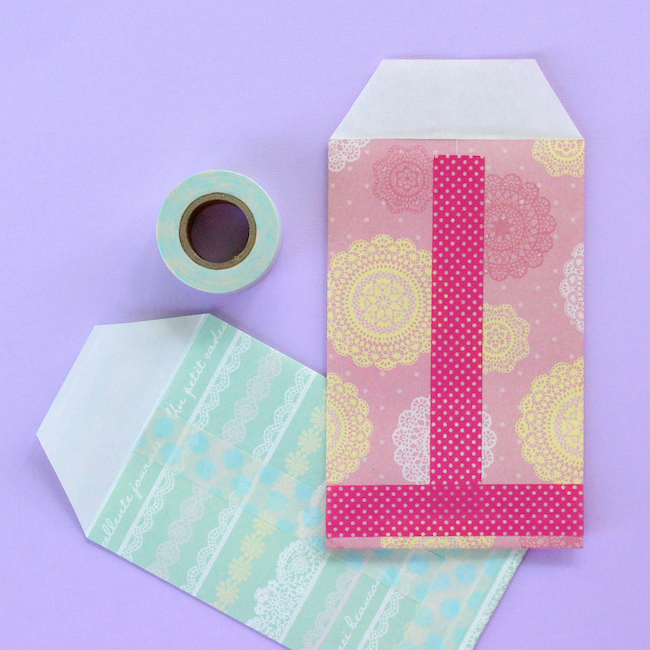 Cut off the extra paper flaps at the fold. Ta dah! You've made an envelope! 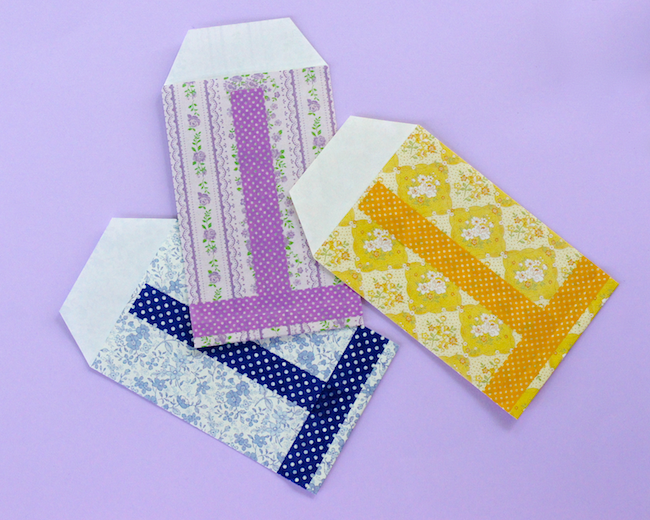 These cute envelopes are lovely for dressing up a handwritten note or to package a gift card. 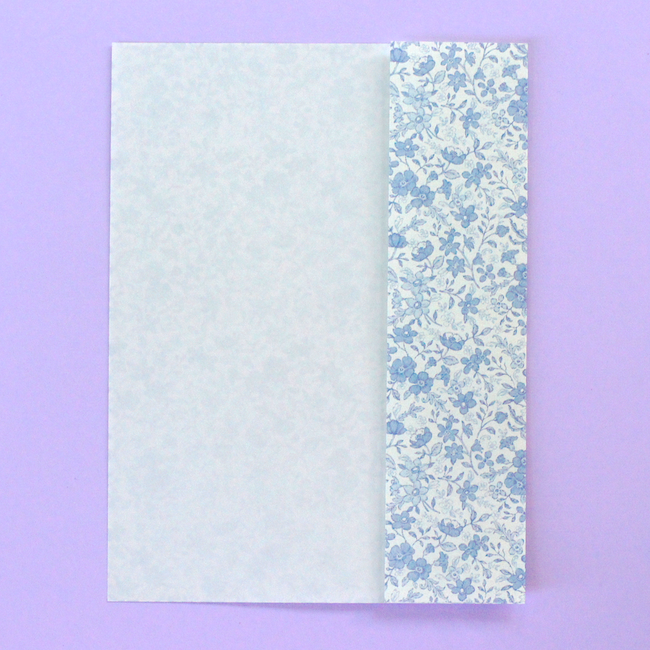 Adjust the size of the envelope by choosing larger or smaller sizes of paper. Now I can use all of the washi tapes and origami papers I keep purchasing! It's the perfect little project for them!